Spiders, anteaters and other not so common animals, all sweet and soft. 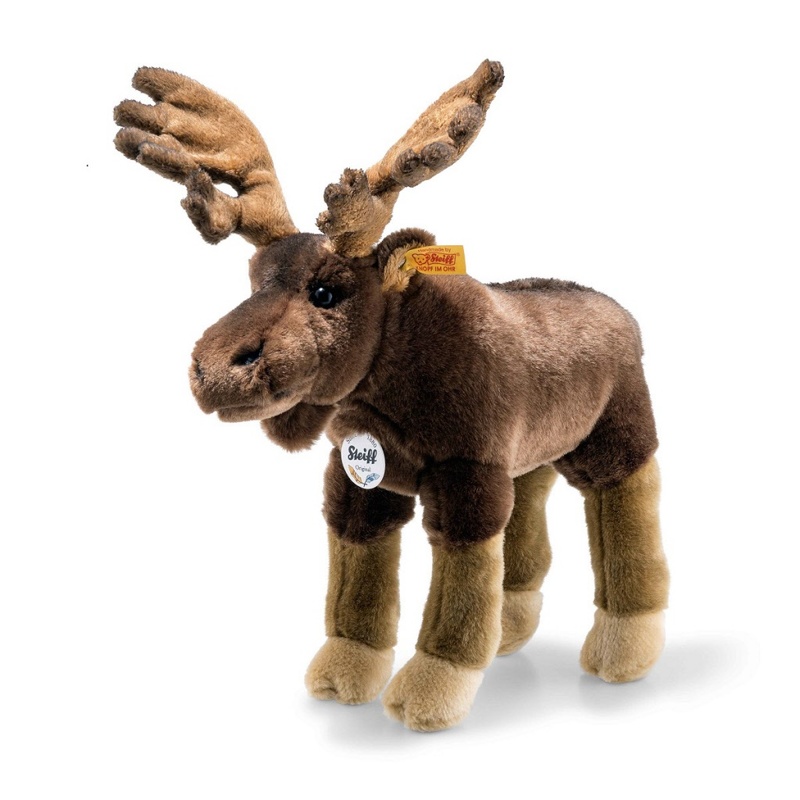 Steiff EAN 069178 Edvin Elk, 30cm. 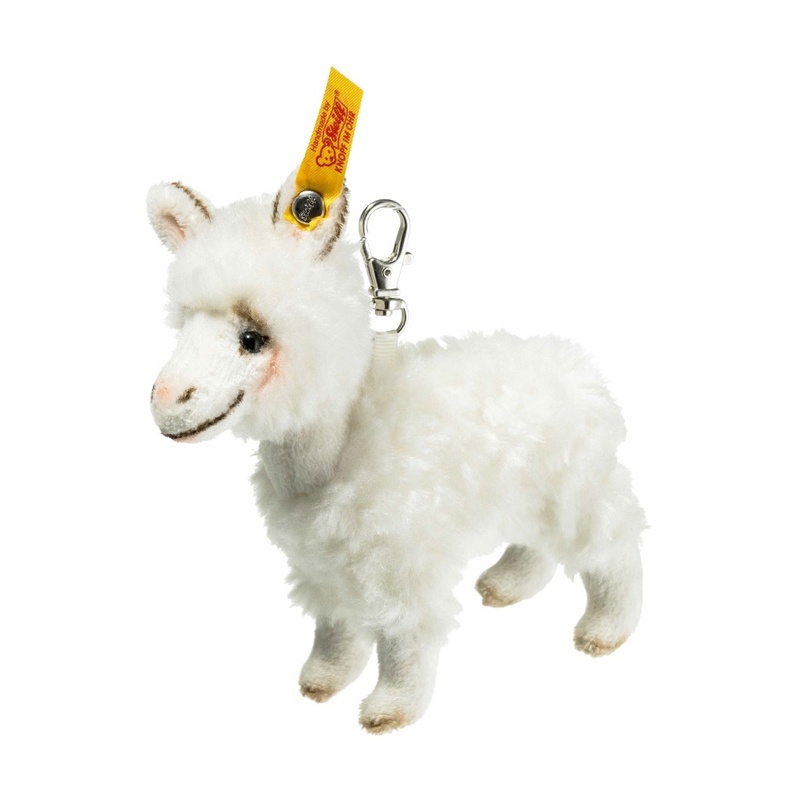 Steiff EAN 104190 Lita Llama, 24cm. 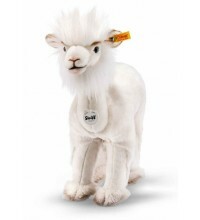 Lita Llama is made out of soft off white plush. She is filled with synthetic filling material. Lita has sweet pink nose and safety eyes. Lita has a stainless steel button in her left ear. 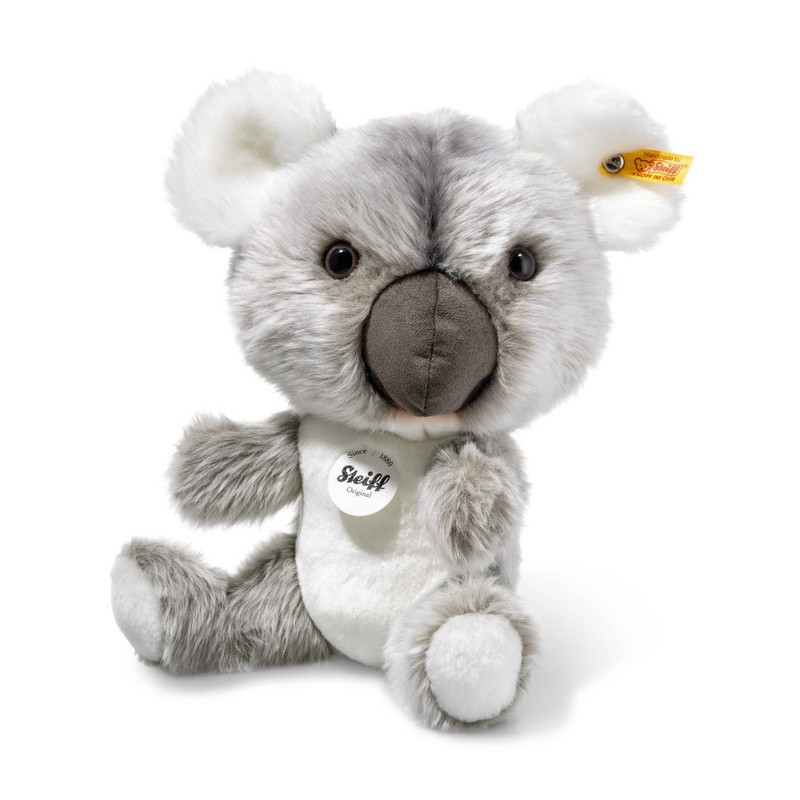 Steiff EAN 060076 Koala with Baby, 31cm. Koala with baby are made out of soft grey and white plush. They are filled with synthetic filling material. They have a plush nose and safety eyes. They are machine washable at 30° C and have the CE mark for safe toys. 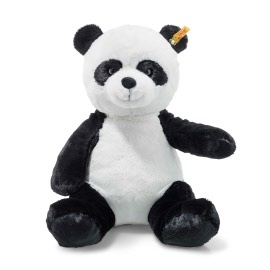 They have a stainless steel button in his left ear. Steiff EAN 066122 Aboki African Wild Dog, 38cm. 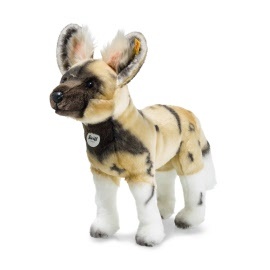 Aboki African Wild Dog is made out of soft multicolored plush with airbrush details. He is filled with synthetic filling material. Aboki has a plush nose and safety eyes. Aboki has a stainless steel button in his left ear. Raggy is made of multicoloured cuddly soft plush, has safety eyes and a plush nose. 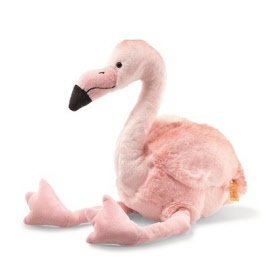 He is filled with synthetic stuffing material and Machine washable (30 degree C). 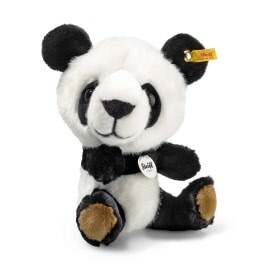 He is with the CE mark for safe toys. Bendy is made of yellow coloured woven fur with airbrush details. She has safety eyes and is filled with synthetic stuffing material. Her surface is washable. she is with the CE mark for safe toys. 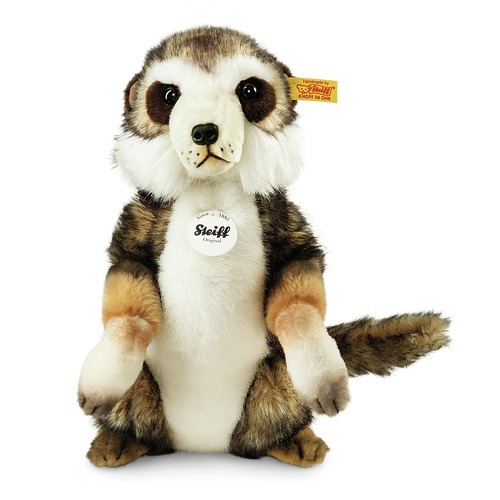 Steiff EAN 070280 Sancho Meerkat, 29cm. 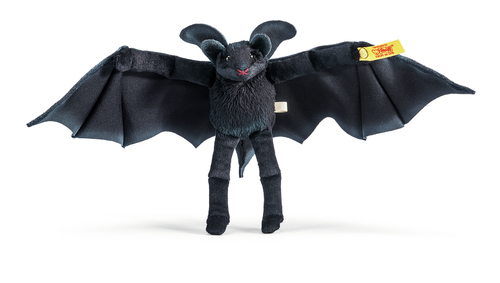 Steiff EAN 056642 Flaps Bat, 14cm. 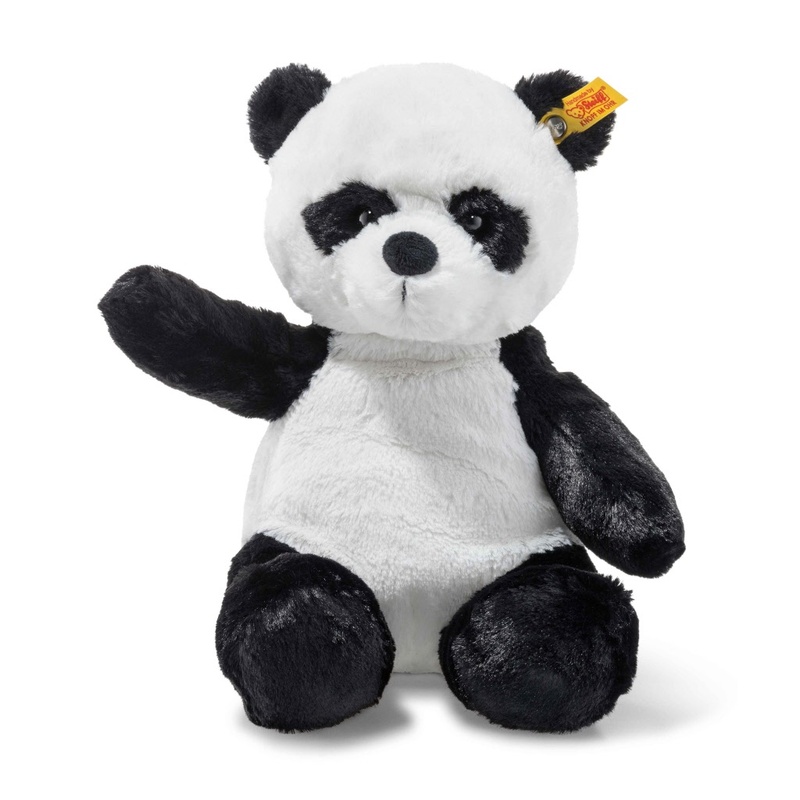 Flaps is made of black coloured woven fur, has safety eyes and is filled with synthetic stuffing material. He is machine washable (30 degree C). He is with the CE mark for safe toys. Steiff EAN 104152 Molly Lama, about 40cm. 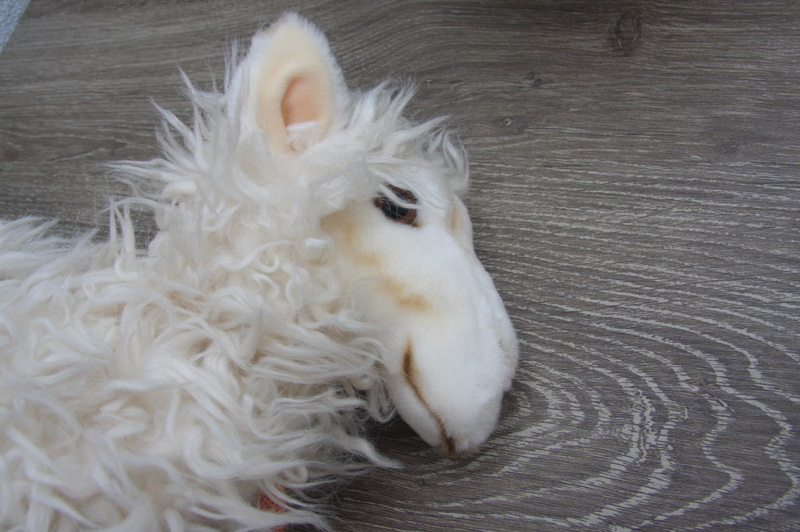 Molly Lama is made of cuddly soft woven fur with airbrush details. 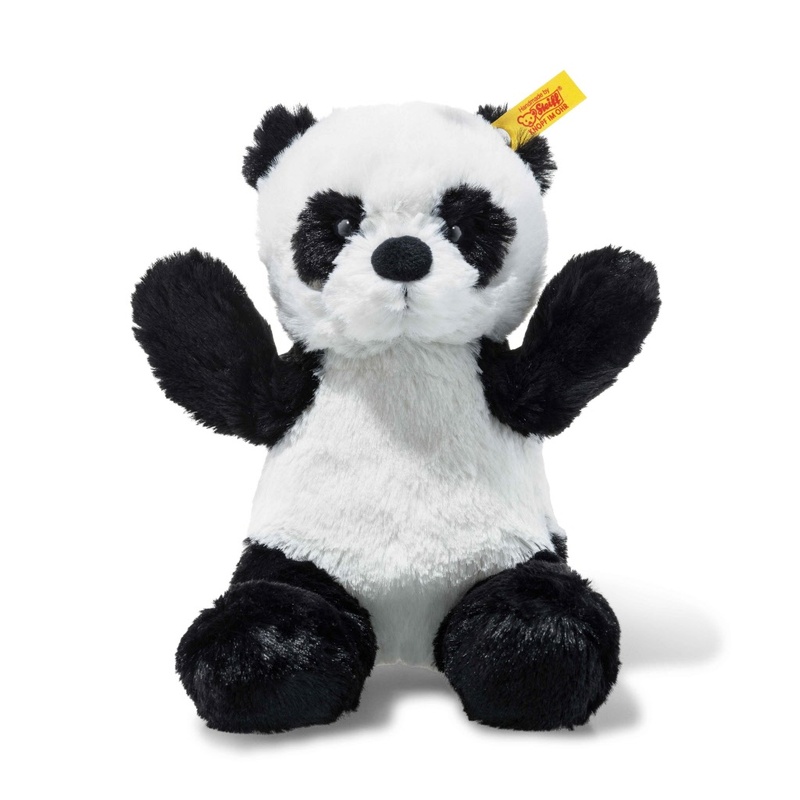 She is stuffed with synthetic filling material and has safety eyes. 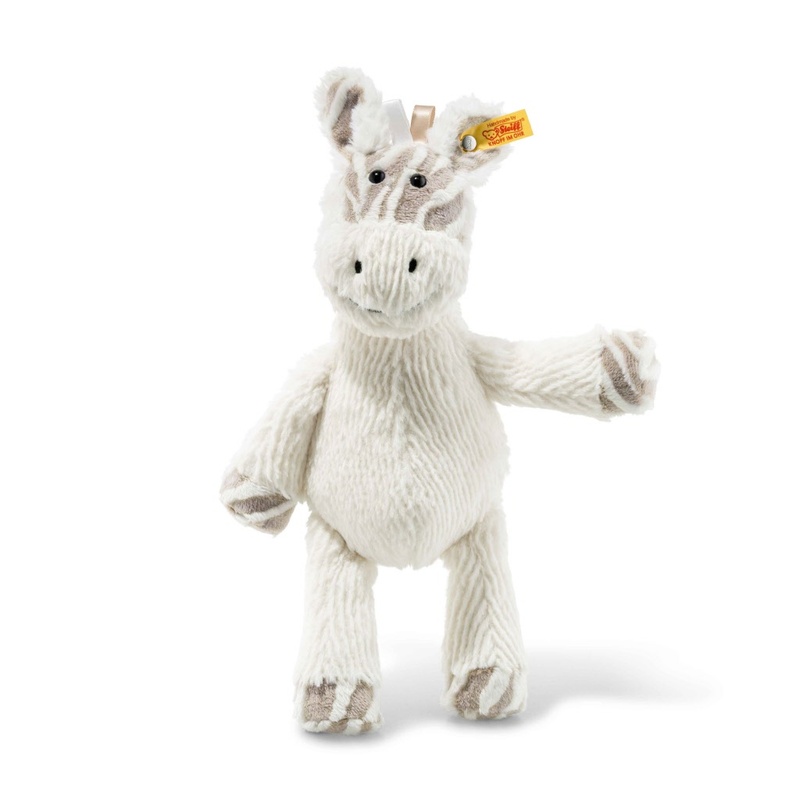 Sancho is machine washable at 30 degree C and has the CE mark for safe toys. 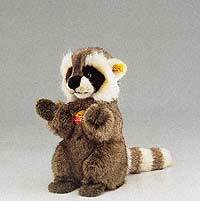 Molly Lama has a brass plated "button in Ear"
Steiff EAN 071188 Ronny Racoon 32cm. Steiff Ronny is made out of soft mottled brown plush. Steiff Ronny has a black plush nose and safety eyes. Steiff Ronny has a button in his left ear. 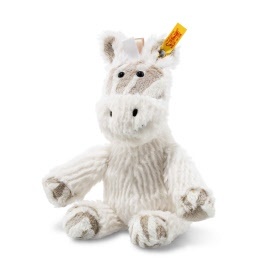 Steiff EAN 064852 Jackie Yak, 35 cm. Steiff Jackie yak is 35 cm. / 14" tall and made out of long piled black plush. 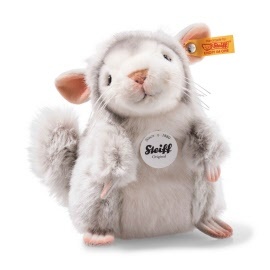 Steiff Jackie has safety eyes and his nose is made out of plush. 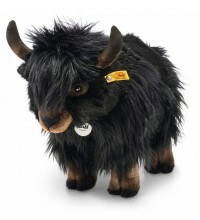 This plush toy is machine washable at 30° C.
This Steiff yak has the CE mark for safe toys. A Steiff animal has a button in his left ear. 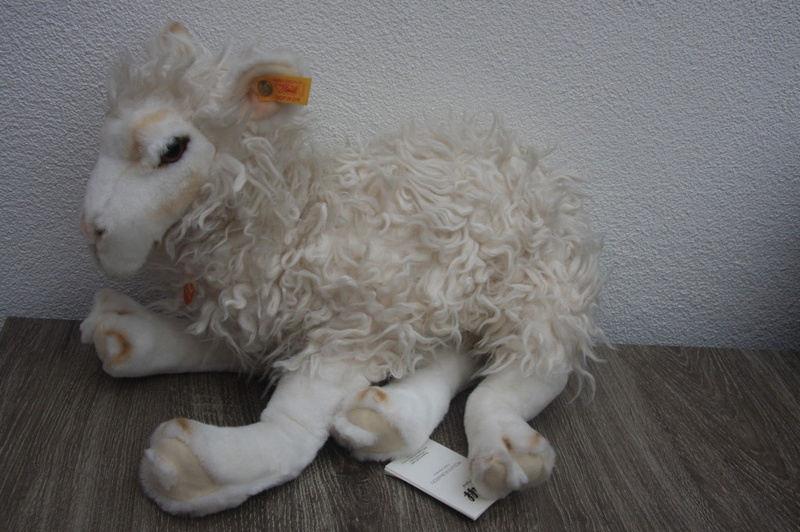 Steiff EAN 057205 Skorpi Scorpion, 18cm. Steiff Skorpi is 18 cm. 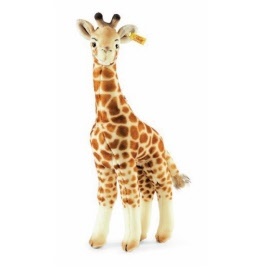 / 7.2" tall and made out pale brown cuddly soft plush. He is wonderful airbrushed with lots of details. 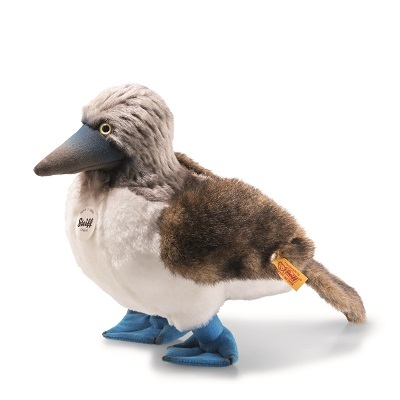 Steiff Skorpi has a stainless steel button on the left front leg. 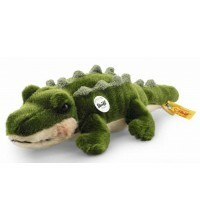 Steiff EAN 067792 Rocko Crocodile, 30cm. Steiff Rocko is 30 cm. / 12" tall and made out green cuddly soft plush. 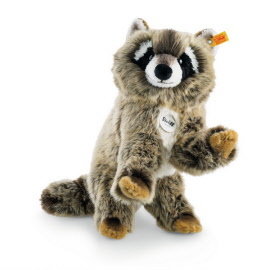 Steiff Rocko has a stainless steel button on the left side of his tail. 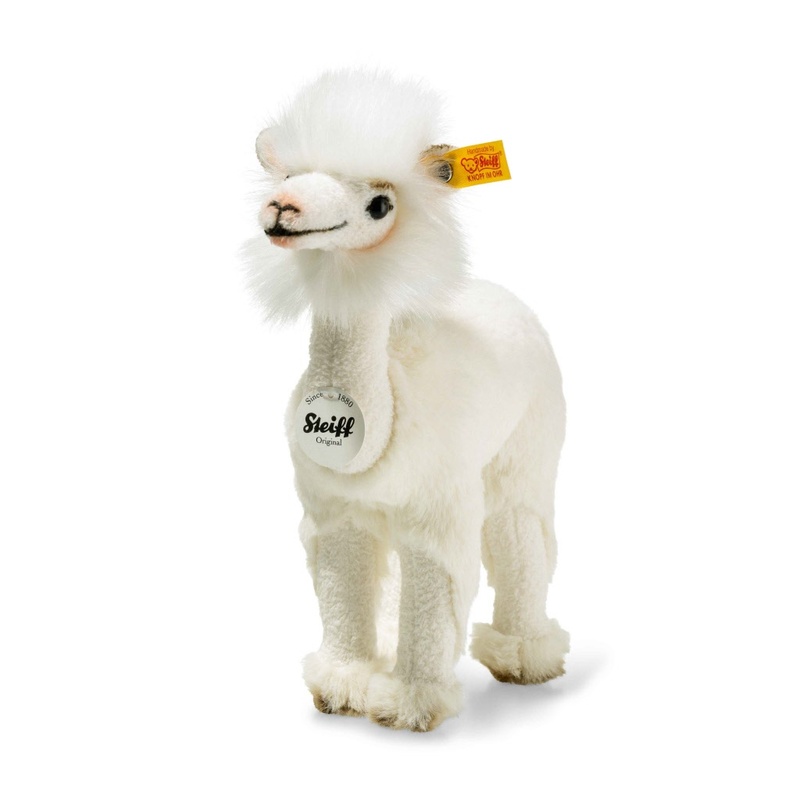 Steiff EAN 104183 Liam Lama, 40 cm. Liam llama is a great guy. 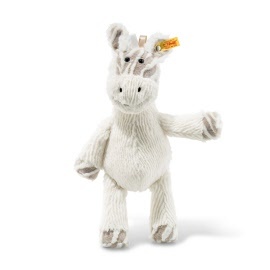 Standing a whole 40 cm tall, he is made of cream coloured cuddly soft plush and has a white shaggy mane. Liam is always game to have fun. He has bending wires in his legs so that Liam can make your little darling laugh when he is placed in the funniest positions. Liam is a small cheeky rascal for having great fun with. He is a very special gift idea! 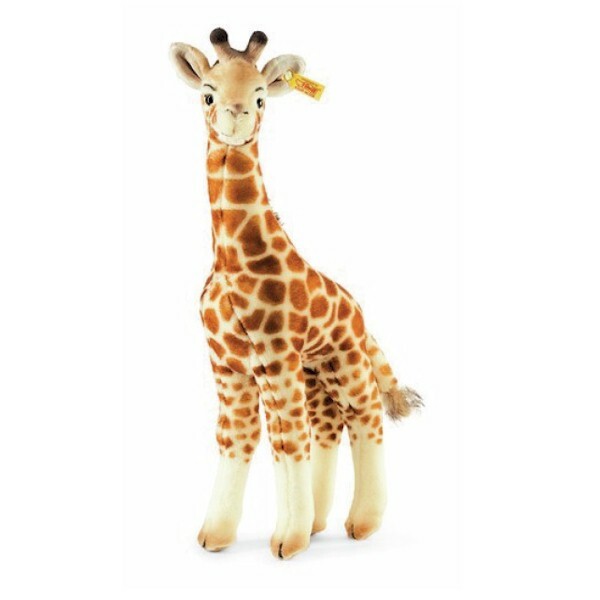 Steiff EAN 068133 Giselle Giraffe Soft Cuddly Friends, 30cm. 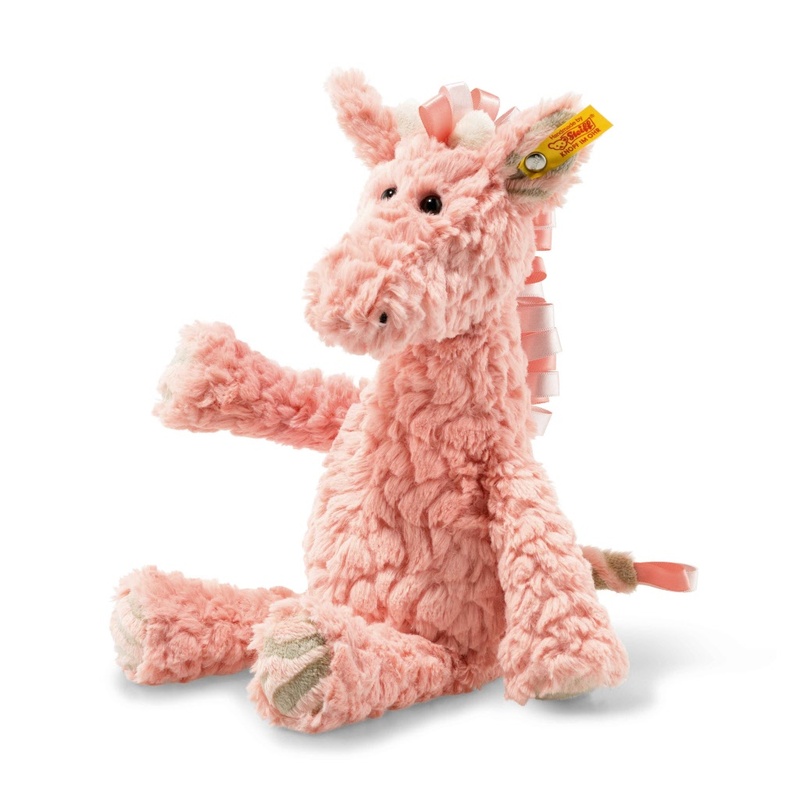 Giselle Giraffe gives warmth and comfort. 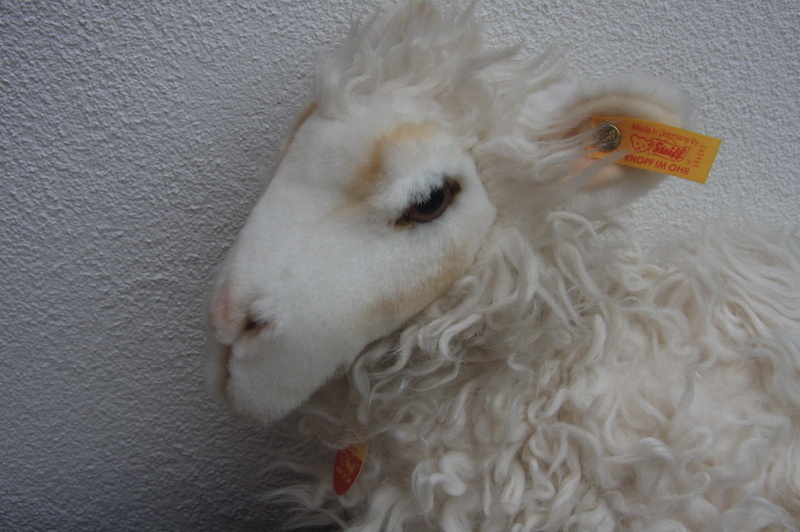 She has ringlets attractive to kids and is soft and warm which provide comfort and softness. It's a wonderful present on many occasions. 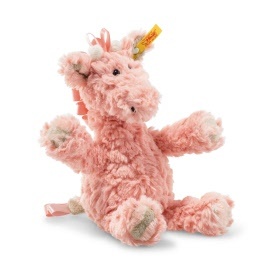 It is made out of soft pink plush and stuffed with synthetic filling material. She has safety eyes and is machine washable at 30° C. It is with CE mark and stainless steel "Button in Ear"
Steiff EAN 069871 baby Meerkat, 22cm. Steiff baby Meerkat is 22cm tall and made out of brown/beige woven fur. Meerkat baby has the CE mark for safe toys. 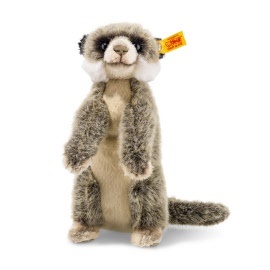 Steiff Meerkat baby has a stainless steel button in his left left ear. 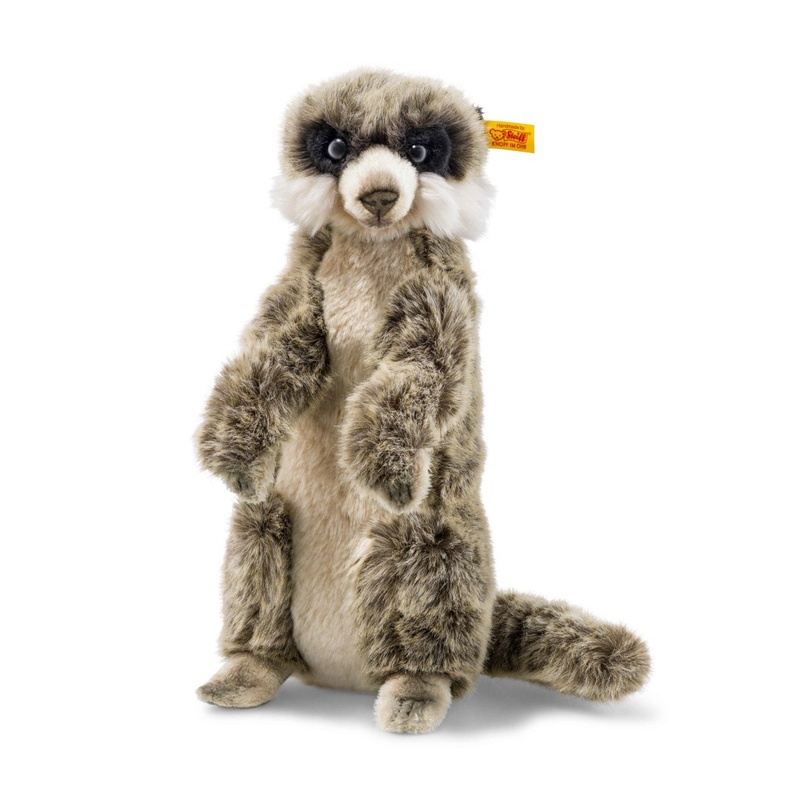 Steiff EAN 069956 mama meerkat, 33cm. 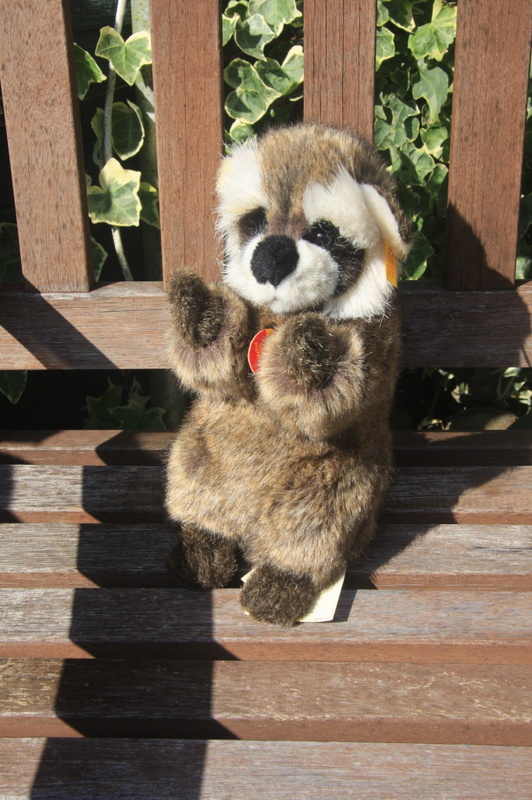 Steiff Meerkat Mama is 33cm tall and made out of mix brown colours woven fur. Shee is filled with synthetic filling material and has safety eyes. Meerkat Mama has the CE mark for safe toys. 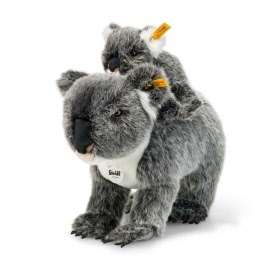 Steiff Mama has a stainless steel button in her left ear.